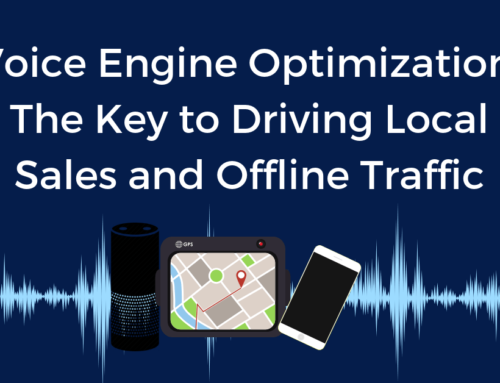 Last week, we teamed up with Third Door Media to give a webinar on “Utilizing Voice Search to Transform Your Local Search Strategy”. We had a great turnout for the webinar, but unfortunately, we weren’t able to get to everyone’s questions. So we decided to answer your most commonly asked questions from the webinar in today’s blog post. Q. What tools can I use to help with voice search and where can I find the best keywords for voice? A. As important as Voice Search is to a company’s digital future, we are surprised how few tools exist to track it. Google’s hinted there will be voice search reporting on Google’s Search Console, but it’s yet to arrive. 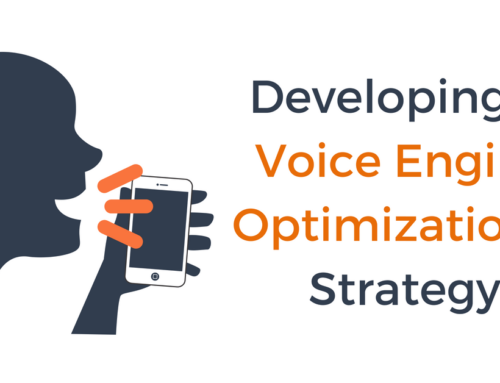 Here’s what tools are available to help with your VEO strategy. We’ll be sure to update this list once we find more. Answer The People – This tool helps you find common questions asked based on your most important keywords. The Q&A Section of Your Listings – Whether it’s Google, Yelp, or some other listing site that lets users ask questions, you can get a ton of great insights from the questions and answers section of your listings. Utilize this section to come up with some great FAQ content in an effort to become a featured snippet. Want to take even more control of these questions in your listings? Answer them directly instead of letting the community answer (incorrectly) for you. Learn how to answer Google questions here. Chatmeter – When it comes to VEO it’s super important to stay on top of your listings and learn the common concerns from customers in the form of reviews and social mentions. If you have multiple locations you need a place where you can monitor the digital reputation of every location on a single platform. Our “Pulse” tool helps brands to find what words customers are using to describe the business, which helps you to create questions and answers based on terms customers use. Keep your listings clean and give customers the best impression of your business by using our “Media” tab to keep an eye on every photo posted about your business. The Chatmeter platform is the perfect place to monitor your locations and make improvements to your VEO strategy based on your findings. Q. What’s the best practice for building a FAQ page? A. When it comes to adding FAQs to your website there are a few different ways you can go about it. Create a dedicated FAQ page. – Creating a dedicated FAQ page is a great way to organize all your commonly asked questions and their answers into one dedicated area. The only problem with this is that if you don’t already have a dedicated FAQ page it can take some time to build up your SEO for that page. Spread the FAQs sparingly throughout your site. – Remember our example about Comic-Con? That featured snippet was pulled from the official Comic-Con site on their about page. By answering commonly asked questions throughout your site, on pages that already have built up SEO strength, you’ll have a greater chance of becoming a featured snippet. A combination of both. – This option gives you more chances of getting pulled as a featured snippet. By creating a dedicated FAQ page and adding FAQs to your existing pages you bring twice the awareness to your site. Q. Are you seeing voice search being used for local service-based and professional service industries? A. This was the most asked question from the webinar and our answer is, yes. If you are in an industry where you offer a service like landscaping, accounting, or one of 100s of other services, voice search is definitely being used to find your company. 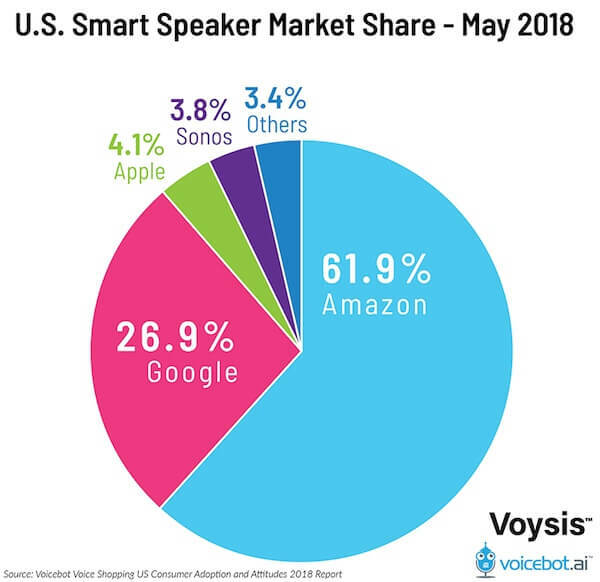 Voice search has penetrated all types of industries, just take a look at the chart below. To optimize for VEO we suggest focusing on keeping your listings updated. Q. Which listing sites are the most important to keep updated? A. All of them! Google, Yelp (Apple Maps uses Yelp listings), and Bing each power the largest voice-based searches but it doesn’t mean you should lose focus on other listings. Just because they’re not powering voice search yet, doesn’t mean they won’t ever be. Snapchat, for example, pulls its listing information from TripAdvisor and Foursquare. How long do you think it’s going to be until voice search expands to social media and other platforms as well? Q. Will VEO work for an online business? A. Yes. Now to be fair, our company only works with brands who need local SEO help so I can’t really get into the details of how VEO works for online businesses. That being said, it definitely should be a part of your overall SEO strategy! 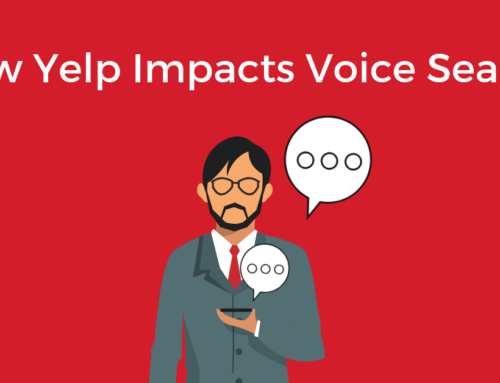 Companies like mastercard, are looking for a way to incorporate pay by voice, which would mean e-commerce businesses really need to start preparing for the voice revolution. The best place to start? Add FAQ sections throughout your businesses to help bring awareness to your brand through featured snippets. Q. Which smart speakers are used the most? A. Amazon definitely takes up the largest market share at 61.9% and Google follows at 26.9%. Because of Amazon’s large market share, if Yelp isn’t in your local SEO strategy, it should be. On the other hand, Sonos is a recent addition and we may see some changes are more smart speakers are introduced. That’s why it’s so important to keep your local listings updated across every platform. Q. Will ads play a role in voice search? A. As for paid ads, we predict they may be included in the next evolution of voice search. With the introduction of the Echo Show (which comes with a screen), we’re thinking this is where ads will play a role in voice search. For voice results without a screen, we’re not really sure? Before we even get to paid ads in voice search, Google will need to get evidence that it works. First Google needs to be able to track voice search, then they’ll start looking into ways to monetize it. Thank you to everyone who attended the webinar and we hope we were able to answer all of your questions. 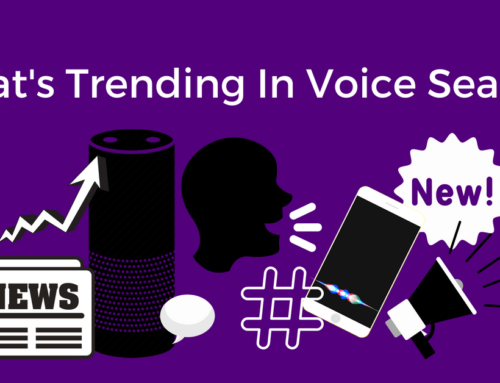 At Chatmeter, we’re following all the latest trends in voice search as we see just how powerful voice is going to be when it comes to local search. Interested in learning how our platform can help you monitor your local SEO efforts? Request a free demo to find out more! 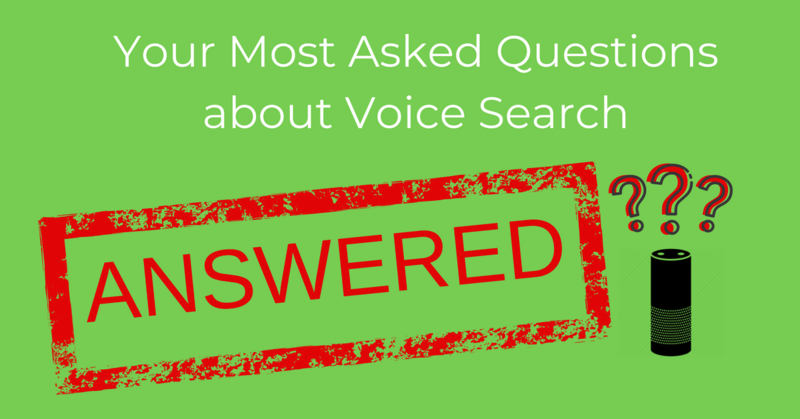 Have more questions about voice search? Feel free to ask us in the comments section below!